Today, for most film photographers, scanning film has often replaced the darkroom or printing process. While it’s certainly not the most interesting part in the life of a film photographer, most of us want to share our analog gems on social media so this step is crucial to succeed in our quest of “likes”! I receive a lot of questions about scanning so that motivated me to make this article and show you how I scan my Black and White and Colour negatives. 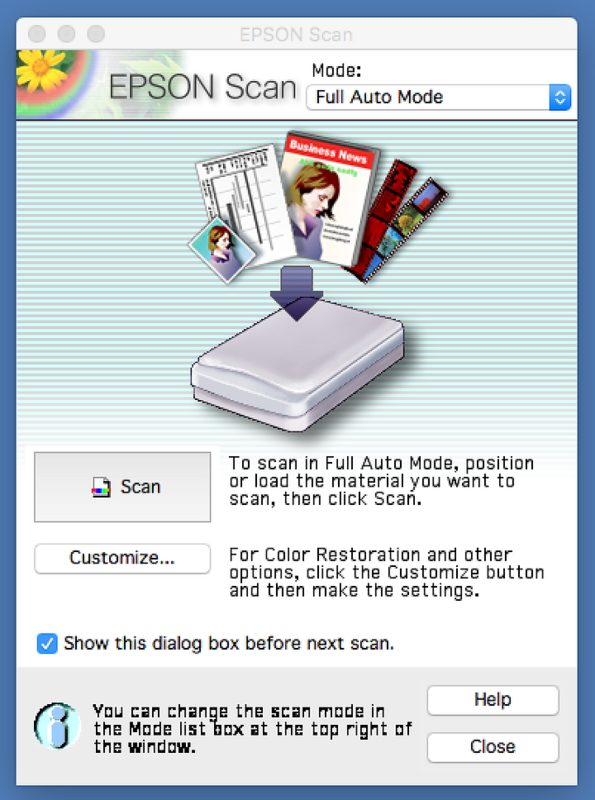 We’ll be looking at the Epson V550 flatbed scanner using the EPSON Scan software. Even if you are not using this specific model or software keep reading as I’ll be sharing lots of universal information that can be applied to most scanners and softwares. I’ll walk you through from preparing the negative to be scanned until the post processing. The point is not to fill your head with too much technicals details as I want to keep this article sweet and simple. If you are after more information about resolution and stuffs, check out this postwhere I go more into details and compared 5 scanners under 200$. Just a small disclaimer: I’m no expert in this topic, it’s just want to share what worked for me so far and gave me results that I’m happy with. If you notice something wrong or have any suggestion to improve my workflow, I’d love to hear so don’t hesitate to send me a message. 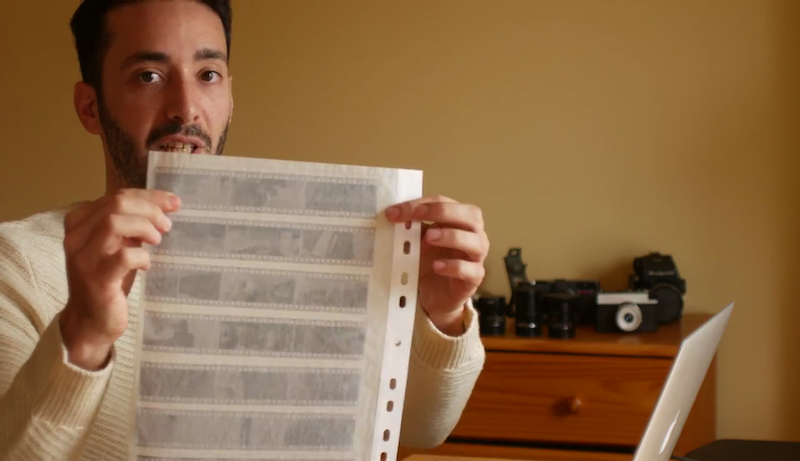 Now let me show you step-by-step how I scan my film negatives. Once your rolls are developed and completely dried it’s important to flatten your negatives. Even if your film hanged over night to dry, chances are that it will still curl once you remove the film clips. To do so, you have to cut the negative in strips that fits in the film holder from your scanner. In my case, when scanning 35mm film, I have to cut strips of 6 frames. So the best way to make them flat is by putting them into a negative storage sheetand let it sit under heavy books or weight for a few hours or even days if your patience allows it. Some films have a tendency to curl more than the others so go check from time to time how it evolves. Having the film perfectly flat is not crutial but it makes it easier to be manipulated and also improves sharpness. What’s more problematic is if the film is bent on the width. This could cause some parts to appear out of focus or develop some weird rainbow halos (also known as Newton Rings). It can be tempting to scan your images as soon as the film is dried but your patience will be rewarded if you work with a flat negative. Now that we’ve seen how to flatten the negative, it’s time to mount it onto the film holder. First thing is to insert a strip of film in the film strip holder, shinny face down. Then make sure that the images are perfectly aligned on the edges so we don’t crop any images. When the film is placed into its holder, use a compressed air spray can to remove a maximum of dust and hairs from the film and glass. If you use air spray, it’s important that the can remains at all times vertical and that you don’t shake it. Otherwise it could spray some sort of liquid instead of air which could damage your film. If you don’t have one of these, you can also gently pass a microfibre tissue onto the negative (be extra careful to don’t scratch the film surface). What we want instead is to switch to the Professional Mode so we can have access to more advanced options. Resolution : 3200 dpi – There is no need to go higher than that. It will generate files more heavy and increase the grain visibility. Check the Unsharp Maskand Dust Removal option. Once all settings are set you can hit the Preview button. It will generate thumbnails of your negative and automatically crop the images. You can adjust the orientation of each images and then press the Scan button. If the crop is not correct you can always adjust it manually using the selection tool. For example when I’m scanning rolls shot on my Xpan I have to do this for each frames. For more info about this step, check out the video above. When the images are scanned they are automatically saved into the Pictures folder. Same as above : click on “Preview” and then “Scan” once the thumbnails have appeared. By having the year and month at the beginning it sorts the folders by dates instead of name. I prefer having them chronologically sorted rather than by alphabetical order. Your images are now organised so it’s time to import them into Lightroom. There are many ways to do this but I’ll just show you how I do it. First thing, make sure that you are in the Develop module. Then on the left bar look for the Folder section and click on the + sign and then “Add folder”. Look for the folder you’ve just created on your hard drive and click on “Choose” to open the images and finish by clicking on “Import”. It takes a few seconds for the images to appear in your library. This is probably the most interesting part but also the most personal because you can finally apply your creative touch on the images. I won’t go too much into details here as it’s a matter of personal taste. What you should know is that scanning tends to makes image look flat and colours can be a bit off. This also depends a lot on the type of film that you are scanning. To correct this flatness, I usually add a bit of contrast and play with the curves to bring the highlights up and shadows down. This usually does the trick to bring my images to life. If you want to learn how to correct colours in Photoshop very quickly check out this article I published a while ago. Home scanning is not perfect but it’s a great way to save lots of money compared to professional lab scans. If you want to go further with this I highly recommend this videofrom Marc Falzon who’s behind the channel Analog process. He knows a lot about scanning and explains how to wet mount negatives onto a flatbed scanner. This is the closest you can get to high-end scanners using a flatbed.